The road from idea to success. The company MemBrain s.r.o. was founded in 2008 by separation of the Department of Research and Development from the parent company MEGA a.s. Therefore the references of the company have more than ten years of history in the research field. We build on successful innovative activities of the management and membrane specialists of the company MEGA a.s, which started, ten years ago, a systematic activity in the areas of basic and applied industrial research through its Department of Research and Development. Since its establishment in 1992, the company MEGA a.s. pays much attention to the development and innovative activity, which has a strategic importance for the company that managed to obtain a position of the world leader especially in the area of electro-membrane processes with its own production of the ion-exchange membranes RALEX. It can be stated that all production procedures, technologies and most of the current commercial portfolio of the company resulted from its own innovative activity. During this period, the expert and executive team of specialists was gradually formed, as well as the scope and depth research programme activities. This primarily took place under leadership and coordination of two key managers and experts in this field, Ing. 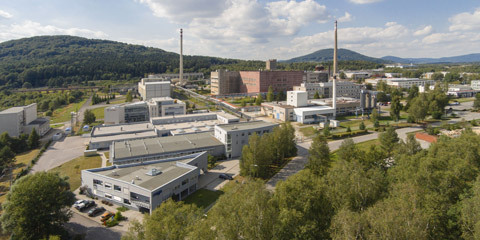 Luboš Novák, CSc., and Ing. Aleš Černín, Ph.D., who personally created and controlled research departments in the presented history. The range of innovation activities gradually covered basic and applied research in the area of membranes and membrane materials, as well as modules and devices, optimization of production processes and, last but not least, research of technologies with emphasis on application of the results in industrial practice. Activities of the research team were later supplemented by implementation of innovative investment projects, based especially on their own research results. In 2012, the Membrane Innovation Centre was opened, supporting coordination and effective implementation of the innovative process, mainly in the field of comprehensive membrane programme, creating a base for partners and customers and ensuring transfer of results into industrial practice.